A Day Out in Ledbury, Hereford - Reclusive Fox ""
A couple of weeks ago, G and I jumped on a train and headed over to Ledbury. Ledbury is only a few miles away from where we live but I’ve only been there once or twice as a child and to be honest it didn’t have a good reputation around here when I was younger. I have no idea why that is, because it was such an attractive and interesting little town and I can’t wait to go back. One of my passions in life is history. I find old buildings fascinating; I love to imagine what life was like when the buildings were built and who may have lived there. 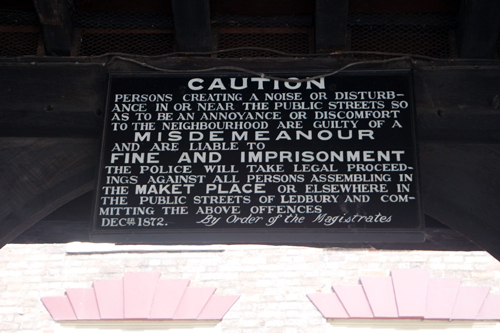 This is probably why I loved Ledbury so much because you can’t get away from the history of the place. Many of the buildings that now house the shops are ancient. Well, not ancient, but they do date back to the 17th Century and perhaps some are even older than that. There are plenty of shops that require you to bend your head or climb the creaking wooden staircase as you shop for quirky goods in the under timber frames. 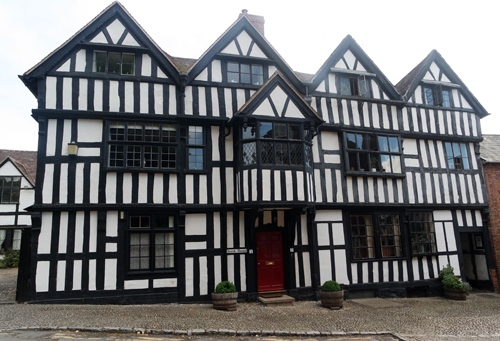 In the middle of the market town is the old Market House, built in 1617. 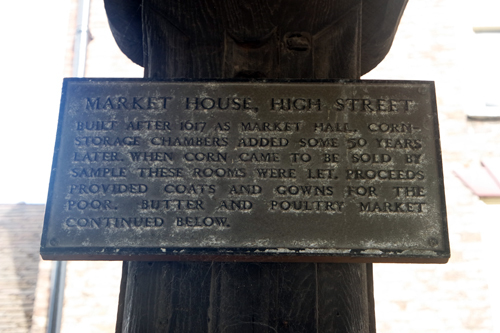 The Market House has a few signs underneath that are worth reading. There is still a market held under this impressive building twice a week, Tuesdays and Saturdays, but we went on a day when it wasn’t on. 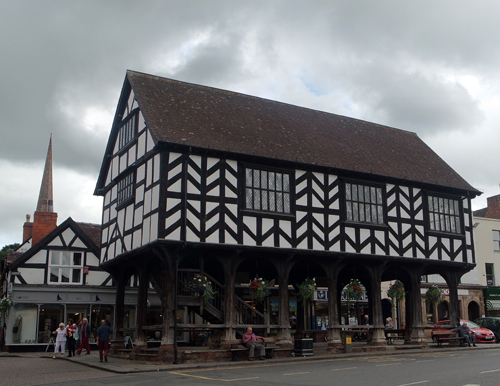 Instead we were able to grab a sausage roll and sit under the old wooden legs of the Market House and watch the world go by. You won’t find many major chain stores here, Greggs, Tesco and a few others, the rest are all independent traders and are of a high quality. Even the charity shops here look pretty and have a good quality of stock, ideal if you love vintage clothes or simply love to shop for bargains. 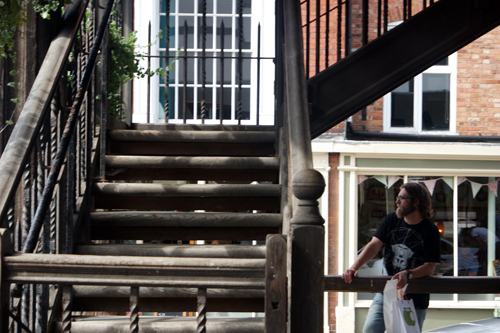 One of our favourite finds was Hus & Hem, located in The Design Quarter. 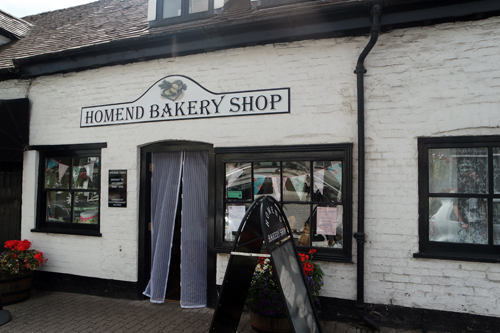 We fell in love with Hus & Hem the moment we walked through the door. Inside there is a collection of Scandinavian interiors, stationary and the most stunning Turkis Danish candles by Ester & Erik. I treated myself to a couple of the turquoise candles for the dining table at only £2.25 each (they have to be snuffed or pinched out so I haven’t dared use them yet, besides, they’re just so pretty). There are so many more colours available in the store than on the website, I highly recommend a visit in person to get the full shopping experience. Another notable shop in the centre of town is Hay Wines. 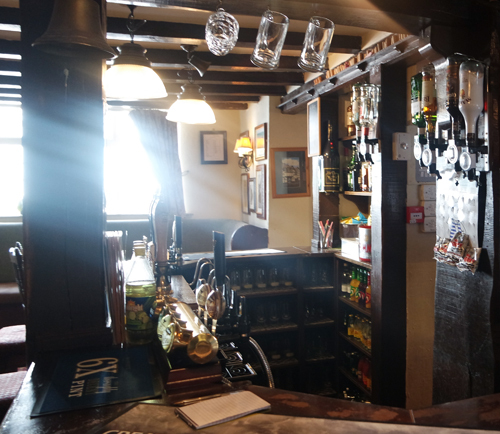 Inside you’ll find a generous wine collection, many top quality whisky, vodkas, (The Chase Vodka is one to take notice of, it’s made locally in Hereford and it’s one of the best vodka’s in the world), local ales and more. There are plenty of single malt whisky’s available to taste and the shop assistant was very helpful. G walked away with a bottle of Evan Williams Honey Bourbon, which was incredibly sweet and a spicy after taste. Halfway through our exploration we paid a visit to The Talbot. 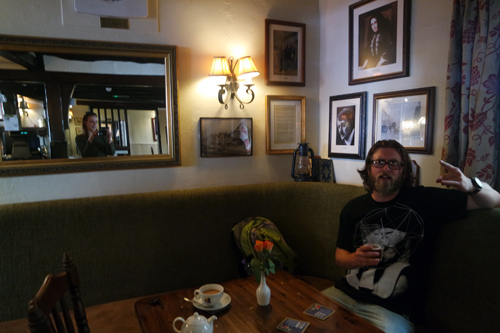 Now if you love old-fashioned pubs then I can’t recommend this place enough. You walk through the doors and into the most delightful bar that probably hasn’t really changed in a hundred years or so. The round bar, fireplace, old photos and just the general feel of the place screams history at you. Yet the bathroom facilities are modern and clean and the coffee machine on the far side of the bar is a good giveaway that we’re in the 21st Century. G had a pint of ale, I can’t remember which one but it went down well. I was served a cup of tea (I forgot to ask for decaf, argg!) in a pot, with lumps of sugar and a small biscuit on the side. The service we received was just perfect; they get five stars from us for the smiles and friendly service. It might be an excellent place to book a room for a few days too. 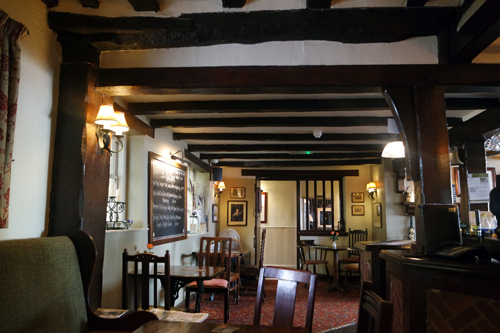 We didn’t have time to go to any of the other pubs but there were plenty around, many in the old timber frame buildings. We’ll be back to sample the others! We visited the local grave yard after discovering it at the end of a cobbled street. I’m not remotely religious (sorry dad!) but looking at gravestones is another quirk of mine, it ties in with my love of history I suppose. Sadly many of the grave stones are damaged and stacked up on top of each other, but it was still a peaceful stroll. 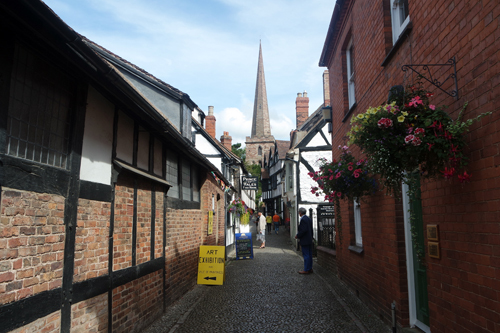 All in all I can highly recommend Ledbury for anyone looking for a day out. Take a fair bit of money with you so you can treat yourself to a few goodies from the independent stores like the handmade chocolate shop and the “shopping mall”. There’s even a swimming pool for the kids, along with Eastnor Castle that suits all ages (the one time home of The Big Chill and the new home to Lakefest as of next year) – we’re visiting the castle soon hopefully, so we’ll let you know what we think of it. What a beautiful place. The buildings remind me of the ones in Stratford upon Avon. I’m also a huge fan of graveyards, I love to read and photograph headstones which people find odd but I think it’s like preserving a memory. 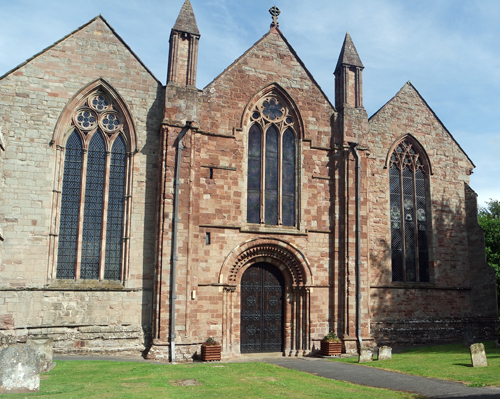 I love your photo’s, Ledbury looks really interesting. 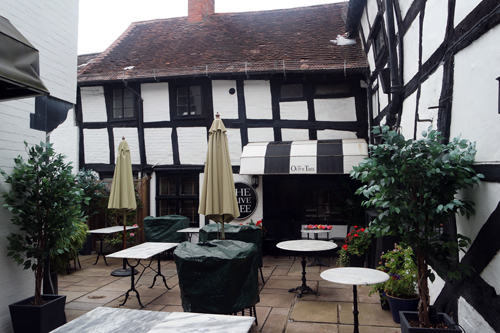 Wow, I really want to visit Ledbury. Your photos are amazing!